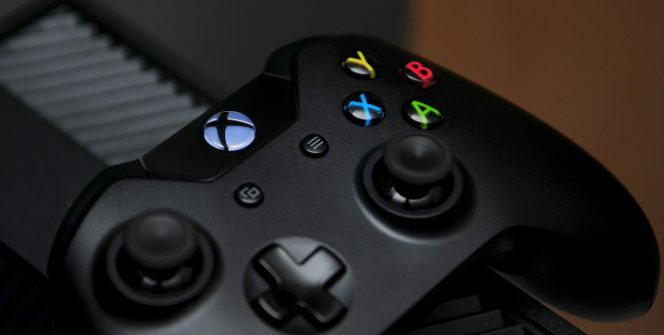 Microsoft’s Xbox One has had a pretty great year – from a whole new catalogue of amazing games and their ‘Games With Gold’ far outstripping Sony’s ‘Playstation Plus’ in quality, to the launch of the Xbox One X ushering in a new way of thinking about console generation-based buying habits. Whatever your thoughts are about the Xbox – whether you lean towards it in the console wars or stay far away – you can’t help but be impressed by its output in 2017, and it’s time to celebrate that with a proper year in review list. But I’m not talking about the big games in this one. There are far too many of those lists, and PowerUp Gaming can provide something a little different to that… So instead, we are going to size up the best online-only games. By that, I mean titles that are exclusively available on the console’s online store (not games that require an always-on connection to the internet). 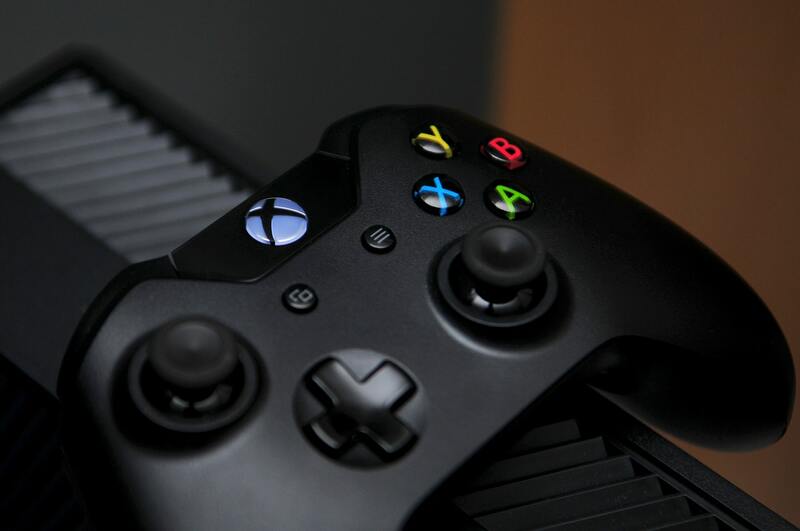 This broad definition covers a wide range of available titles – including ID @ Xbox indie games, general small-developer titles and expansion packs. However, I’m ruling out any AAA games. Again, they will be covered by your bigger lists. So, without further ado, here are 10 of the best Xbox One games of 2017 that you can only (and should) buy on the Microsoft store. Quick disclaimers: This list is in no particular order – do not judge us on the charted position of a game. And at no point are we saying other games are not worth your time. Hold back on your angry comments until the end of the piece. It’s simply too difficult to sum up the kind of experience you will have playing Inside. It just has to be played to be believed, and I urge every single one of you to do so! At just shy of four hours, but way over three, it is on the short side. But thanks to the surprisingly thought-provoking, twisting & turning story, beautiful visual design, amazing accompanying soundtrack and razor-sharp gameplay, Inside will stay with you long after it’s done. Don’t be put off by the price-time spent playing ration. It’s totally worth it. It may have taken a while to get here, but there’s a reason Rocket League is one of the most popular competitive online games! The wait was certainly worth it – welcoming all Xbox One players in with a super simplistic design for perfect pick up & play material, while allowing players to develop their craft and improve their in-game skills with practice. And the multiplayer? Well, it’s unforgettable. Nothing quite beats the pure havoc of a Rocket League match, as you charge forward on an attack or rush back to defend your goal. If you’ve already played Rocket League on another console, there is nothing else on offer here. But if not, you’re in for a treat. From it’s incredibly inventive gameplay to the exceptional story, Giant Sparrow’s title – What Remains of Edith Finch – is a memorable game that is a real trailblazer for walking sims everywhere. While the bar for games in this genre is already pretty high when it comes to captivating plots, this puts it up so much higher beyond anything else you’ve played. It rewrites the book on what to expect is possible from an interactive adventure and adds a whole new level of cinematic immersion that you don’t see. In fact, this game comes close to being like a movie than any other title has. This is an excellent game. You may have seen this a while ago. It’s true – the game has been out on different platforms for a while, but now it’s on XBONE, you owe it to yourself to play this game! The team behind SUPERHOT have turned what is a pretty simple mechanic into a engaging game from start to finish. And this mechanic? Bringing a fresh twist to shooters, the pace of the game is controlled by your own movement (if you stand still, so does the world around you). Feeling almost matrix-like in bullet dodging, you can help but get a euphoric sensation playing SUPERHOT. It truly is one of the most innovative shooters in the past decade, which is sure to provide plenty of hours of entertainment. If you’ve seen any of Microsoft’s Xbox marketing, then chances are you’ve seen this truly original visual sensation. Channelling the old Disney cartoons of the company’s early decades, Cuphead may be an incredibly difficult and frustrating 2D shooter/platformer. But it’s better because of it, posing an actual challenge to players in a time when it seems like games are getting easier by the year. You will always go back, though – thoroughly infatuated by the visuals and style unlike anything else you’ve played. Hard, but never unfair. Who doesn’t love a good card game? Hands Of Fate was loved by the entire ID@Xbox community, and now they’re back with a sequel. This deck-building action RPG requires deck building and intense strategic planning to gain victory in many battles. While this game may not have the same excitement of many free spin online casino games, the meta nature of each card battle ups the stakes to life or death. Improving on the predecessor’s shortcomings, this is a great change of pace from the usually fast-paced array of games in the market today. Now for something totally different… With a cast of eccentric characters, extremely complex puzzling elements and a thoroughly rewarding system of progression welcomes you to Thimbleweed Park. From the captivatingly bizarre story full of eccentric characters to an alarmingly beautiful visual style, this LucasArts-esque point-and-click puzzler is a strange ride, but one you will never forget. This lovingly crafted game just oozes with the passion the developers threw at it. Proof that this ageing genre still has a place in today’s society, Thimbleweed Park is highly recommended. Speaking of ageing genres, if you thought that the 2D scrolling brawler games were a dying breed, think again. Bringing back all kinds of Streets of Rage memories, but with a 21st-century update, Raging Justice is a fantastic callback to the arcade games of old, but with a modernized control scheme that involves new combo systems! For classic levels and epic boss battles, you’ve got to get Raging Justice. Battle Royale shooters are huge in 2017, from PlayerUnknown Battlegrounds to Fortnite. Everybody seems to have fallen in love with the Hunger Games-style (or Battle Royale for any fans of the Japanese movie out there) last man standing match type on a giant map. Well, Xaviant wants a piece of the pie with The Culling – dropping 16 players into a deadly environment and given 20 minutes to craft, scavenge & prepare traps. During this time, they have to hunt each other down, and it makes for a truly tense battle. Another personal favourite of mine, you will be far pushed to find anything quite like Ashen in 2017. Inspired by The Road, this is a survival adventure set in a lonely world with a captivating monochromatic style. This world is brutal and unforgiving – tasking players with managing stamina and supplies while positioning you to overcome any enemies in your path. And with a passive multiplayer model, allowing players to drop in at any point and help with cooperative objectives, it’s a thoroughly great experience. One that is hampered by one thing… It’s not out yet! Playtesting the game showed great promise, but this shining beacon in the dark isn’t ready to show itself yet. Fingers crossed it comes out soon!